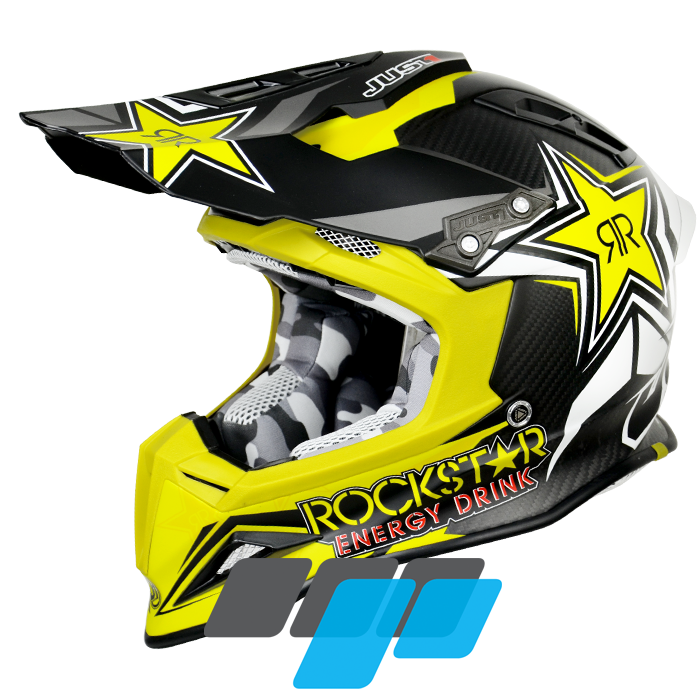 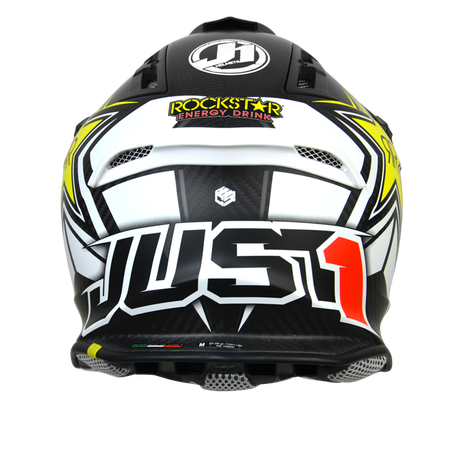 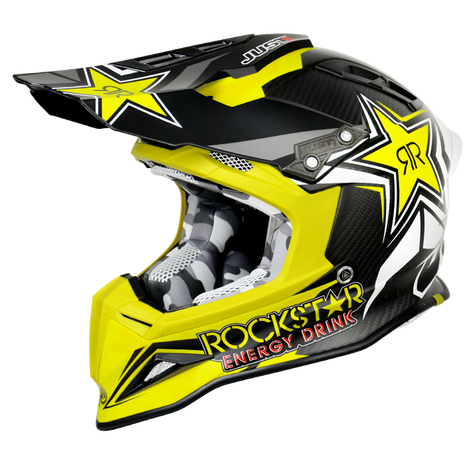 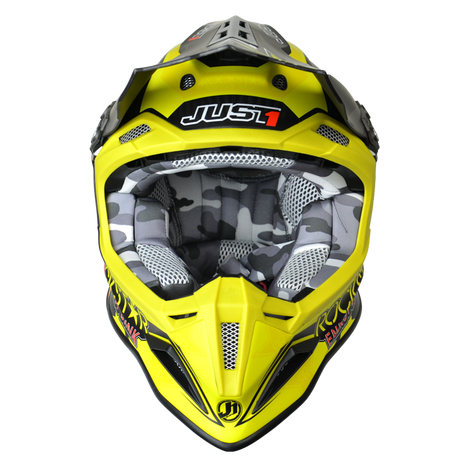 JUST1 J32 MX ROCKSTAR 2.0 replica Crash helmet featuring a polycarbonate shell anatomically structured with the exclusive "N.B.F.F." 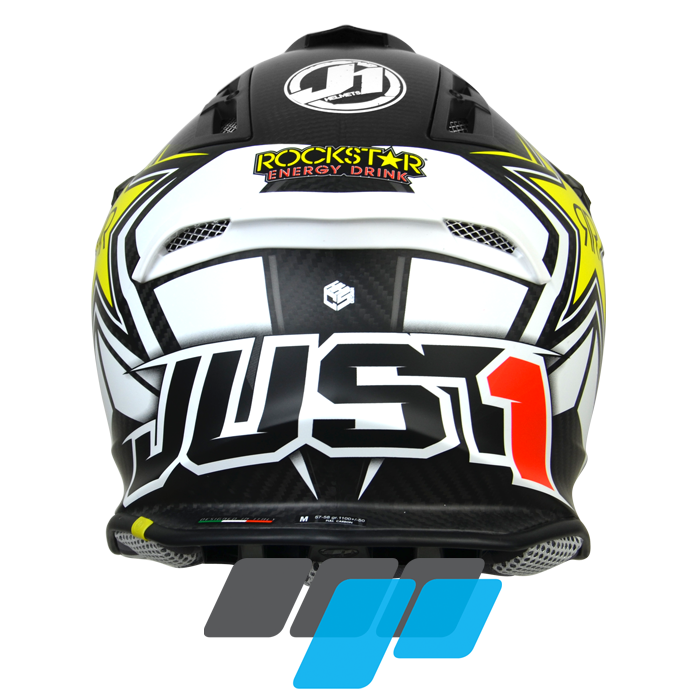 system (Neck Brace Front Fit). 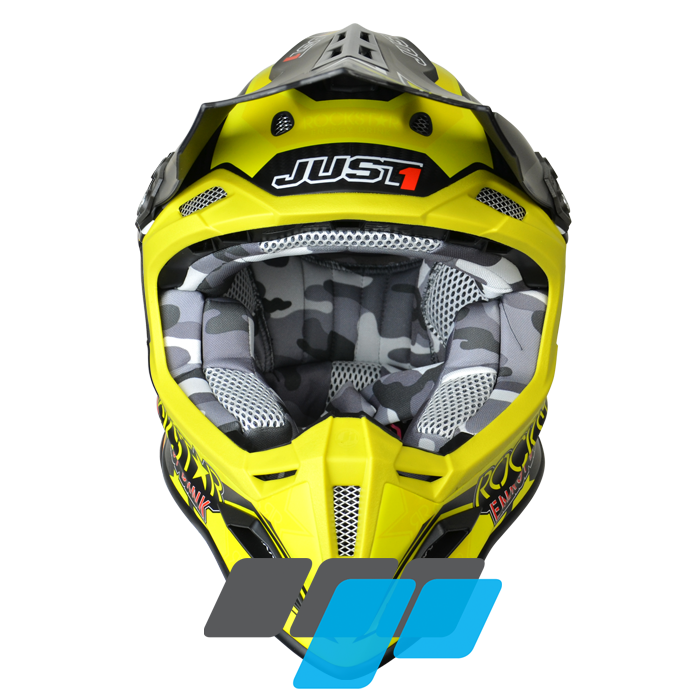 Helmet inner lining is removable and washable, using highly breathable fabrics and hygienically treated.